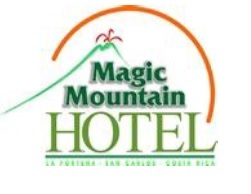 Hotel Magic Mountain is located at the base of the Arenal Volcano and near the local hot springs, only 4 minutes away from La Fortuna with its shops, restaurants and other points of interest. The hotel offers a new vision in lodging (First Class Accommodations), based on the quality of service and with the primary objective of the full satisfaction of our guests. 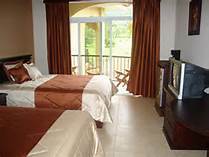 The Hotel is situated facing the Arenal Volcano and this strategic location provides guests with a stunning view of the colossus. 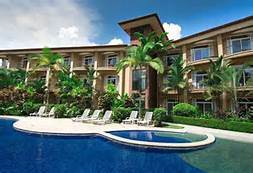 There are 36 standard-sized rooms and six “Junior Suites” and all have either a private balcony or terrace with views of the Arenal Volcano.All rooms are tastefully decorated using the highest standards available and guests will enjoy the attention to detail in their rooms as well as throughout the rest of the hotel complex. The staff is committed to ensuring that guests of Magic Mountain will have an unforgettable experience and will take home some wonderful memories of their stay. 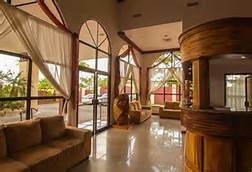 Internet service is available in the hotel lobby and there is wireless internet access. For guests interested in viewing the great variety of wildlife that exists in the area including; toucans, lizards, iguanas and many species of exotic birds, qualified personnel are on hand to arrange tours and assist in planning your day.